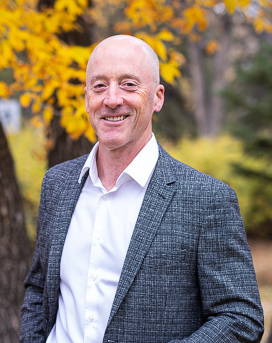 Dr. Kilduff was born and raised in Saskatoon and attended Holy Cross High School. Following high school, he entered the U of S and obtained a BSc degree with a major in human physiology. In 1990 he graduated from the College of Dentistry at the U of S with a DMD degree. After graduation he established a dental practice in Vermilion Alberta where he practiced until 1997. While there he was actively involved with community sports, sports team sponsorship and the Kinsman Club of Vermilion. In 1997 he returned to Saskatoon and area to continue his dental practice closer to home. Dr. Kilduff maintains a general family practice with a special interest in both dental implants and the application of lasers in dental treatment. He is a believer in lifelong continuing education and is constantly involved in training and learning from some of the top educators in North America. Dr. Kilduff is an active member of the American Academy of Implant Dentistry, the International Team for Implantology, the Bites Implant Training Institute and the World Clinical Laser Institute. At Fresh Dental on 8th Street our main goal is patient care, we want you to feel comfortable and relaxed when coming in for a visit. Please call us to book in with Dr. Brian Kilduff or Dr. Aaron Bazylak, we are looking forward to hearing from you! We are accepting new patients! Copyright © 2018 Fresh Dental Care All rights reserved.